The wall mounted Bosa modern concealed two outlet shower valve features minimalist round lever handles with a stylish matching curved backplate in chrome. 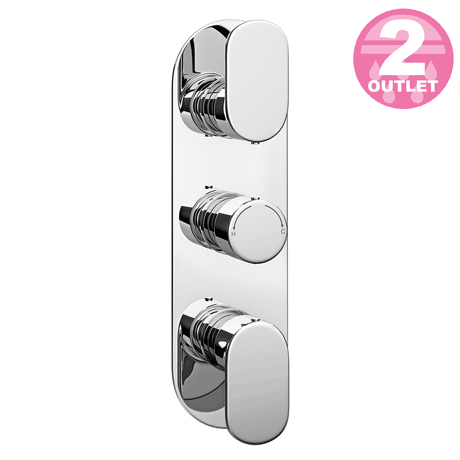 This stylish concealed thermostatic triple shower valve offers thermostatic showering via three easy-to-operate controls. Separate controls for temperature and flow. Operates two shower accessories separately or simultaneously - Fixed head / Slide rail kit, Fixed head / Body jets or Slide rail kit / Body jets.